The marine VHF radio is a vital safety tool that is under rated by many but you would have wished you had one during an emergency. VHF itself stands for “Very High Frequency” and the radios are available as a fixed or handheld device. The best handheld VHF marine radio is the Standard Horizon HX870 with its impressive waterproofing and GPS functionality. The best fixed mount VHF marine radio is the Standard Horizon GX1700W that has 12 built-in channels for GPS functionality and a 3 inch display for excellent usability. Marine VHF radios are essential for trips out to sea and have multiple uses such as rescue services, ship to shore communication, contacting the harbor and much more. 8.1 Why Not Just Use a Mobile? The choice of marine VHF radios are endless but regardless of which one you go for, its important that you have one on board. The fact that this device can save your life within an emergency should be enough for you to purchase one. The marine VHF technology is improving each year, which results in better value for the money as a consumer. 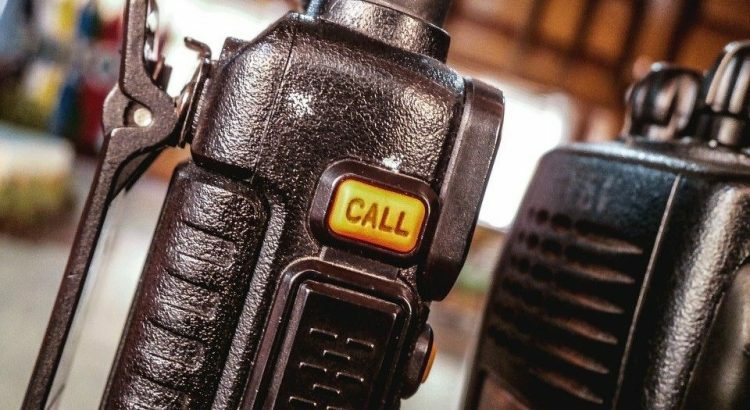 We strongly recommend that you read our VHF buying guide to get a full insight into the world of VHF radios. For serious boaters that want to add value to their boat, a fixed VHF radio is the best buy. If you are moving around from boat to boat, the handheld VHF radio would be the correct device to use instead. Regardless, below is a list of the best marine VHF radios for your boat with a mix of fixed and handheld examples. The Standard Horizon GX1700W is a fixed mount VHF marine radio that comes with a high price tag but its completely worthwhile. You will require a VHF antenna but this will provide you with the ultimate ship to shore radio setup. Navigating to a waypoint is an important part of boating and the GX1700 is able to save up to 100 waypoints. Using the navigation system, you are able to use the compass to show nearby vessels, SOG, COG, BRG and DST to each way point. Although it is fairly expensive, the GX1700W provides every feature you require, which makes it good value for money. If you are not on a budget, the GX1700W is the best fixed mount VHF marine radio for the money. The Uniden UM380 is by far the most popular fixed mount marine VHF radios available. Uniden offer a range of models that provide different colors (white or black) and some other additional extras but the UM380 model provides the best value. In case of an emergency, there are dedicated distress buttons that allows you to click one button to call for help. The high performance transceiver will ensure perfect communication to prevent interference during the distressing time. It is a high performing marine VHF radio with the ability to transmit frequencies at 1 to 2 miles and receive at 20+ miles. Overall, it is a great option and the choice of colors allow you to get the perfect finish if you are to fix it to your boat. The ICOM IC-M506 is suited for those looking for the ultimate VHF radio with all the features you require and more. It does come with an expensive price tag but the amount of features available with this device makes it worth the extra. 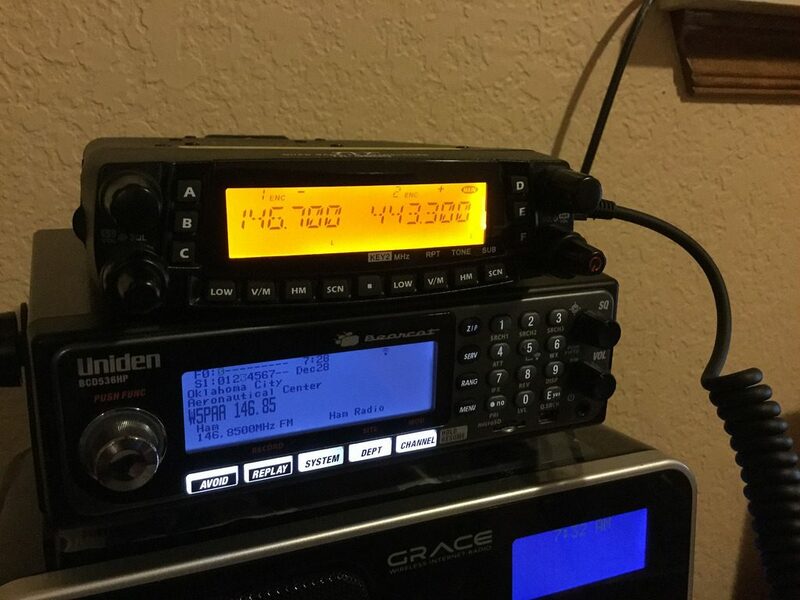 This is another premium fixed mount marine VHF radio that is designed for those looking to spend more in order to get more bang for their buck. The sheer length of the specification sheet is highly impressive and this would be the ultimate gadget on the majority of boats. The most popular handheld marine VHF radio is by Standard Horizon with their HX870 model, which is full of excellent features. It is 100% waterproof with a JIS8 certification that confirms its both water resistant and submersible. The HX870 has built-in GPS that simply tracks your real time coordinates to detect your position. This benefits you as not only can you call for help via the radio but you can also send your location to a rescue team nearby. Another standout feature is the large 2.3 inch display which can be operated via the intuitive menu system buttons. Near the button is also a strobe light and this can be activated manually but it will flash if it detects the radio itself is in the water. Overall, it is the best handheld VHF marine radio you can buy and although it is more expensive than the alternatives, it is completely worth it for the additional features. The BF-F8HP model is the third generation of the handheld marine VHF radio produced by BaoFeng. The improved model has twice as much power, stronger radio shell, larger battery and an improved antenna than the previous generation. One of the most important factors when buying a handheld VHF marine radio is the battery life. The BF-F8HP has three power settings and three battery packs that can provide up to 24 hours of battery life. One major drawback of the BaoFeng radio is that it is not waterproof but this is reflected in the low cost of the device. To overcome this issue, you can simply use a dry bag to keep it dry and when needed, you simply take it out of the waterproof dry bag. The Uniden MHS75 is a handheld marine VHF radio that comes with an impressive waterproof design. It can be fully submerged within water for up to 5 and a half minutes. It can also float on top of the water like the Standard Horizon alternative too. If you are in and out of the water a lot and require the best waterproof VHF radio, the Uniden MHS75 is the one for you. For peace of mind, this handheld marine VHF radio even includes a three year warranty. Shopping for a marine VHF radio can be fairly difficult as there are so many different brands, types and styles. From fixed to handheld marine VHF radios that all provide different features for certain situations. They work from radio waves to send and receive transmission and the more powerful radios will use a VHF antenna to provide the strongest signal. Many provide a talking range of up to 30 miles. A common misconception is that you require a license to use a VHF marine radio and this is simply untrue. However, if you are operating a commercial boat such as cargo ship, commercial fishing and so forth, you will need a license. To help you with your buying decision, we have created a detailed buying guide to the world of marine VHF radios. Why Not Just Use a Mobile? 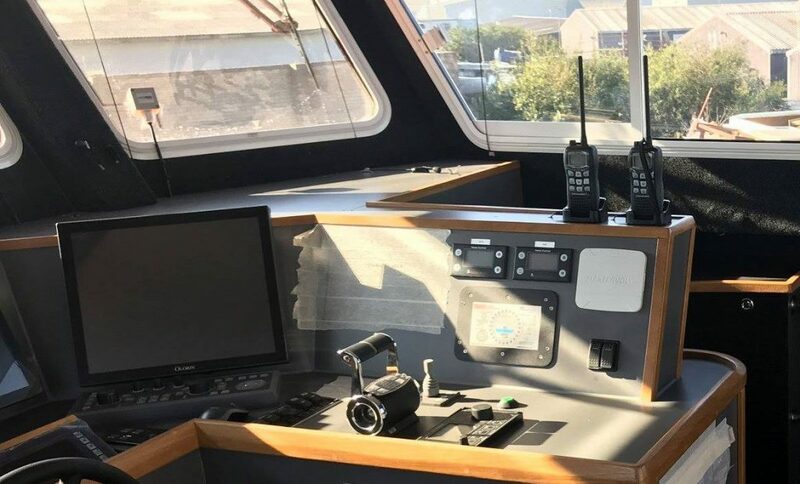 When you show a VHF marine radio to someone that is not familiar to the boating industry, they will straight away ask why you are not using your mobile. However, in short the main reason is due to the mobile network coverage whilst on open water. As you go out to see, the signal on your mobile will be very poor. A VHF radio will always have signal unless is blocked by huge objects such as mountains but this is unlikely in open water. On top of this, when you send out a distress call via a VHF marine radio, it will be outputted to anyone that is in range. This will improve your chances of getting yourself out of a sticky situation. Handheld VHF marine radios is not mounted to the dash of your boat and is a portable device, which is great for those that are on and off their boat. Most are designed to float on the water in case it becomes submerged and of course, they are waterproof to a certain extent. In terms of the range, it will not transmit signals are far as a fixed mount alternative but you can expect between 3 and 8 miles with most devices. This is due to being limited to 6 watts of power but you can add an aftermarket antenna for additional power. Battery is the main concern that many boat owners have with handheld marine VHF radios. However, if you setup a cradle and have a marine 12v installed (as shown above), you can have the device charged on the go. Without charging, the battery life can range anywhere from 8 hours to 20 hours depending upon the quality of the handheld VHF you purchase. For those with bright LCD displays, you can always decrease the brightness to improve the life of the battery. However, simply having a backup battery will be more than enough to ensure you always have charge on the device. Fixed mount marine VHF radios offer more in terms of functionality and are able to use the legal limit of 25 watts in power. This means you are able to output signals further than the like of a handheld alternative. Most fixed mount devices will also use an antenna to get the best range possible. Where possible, its recommended to install the antenna as high up as possible, as shown below. 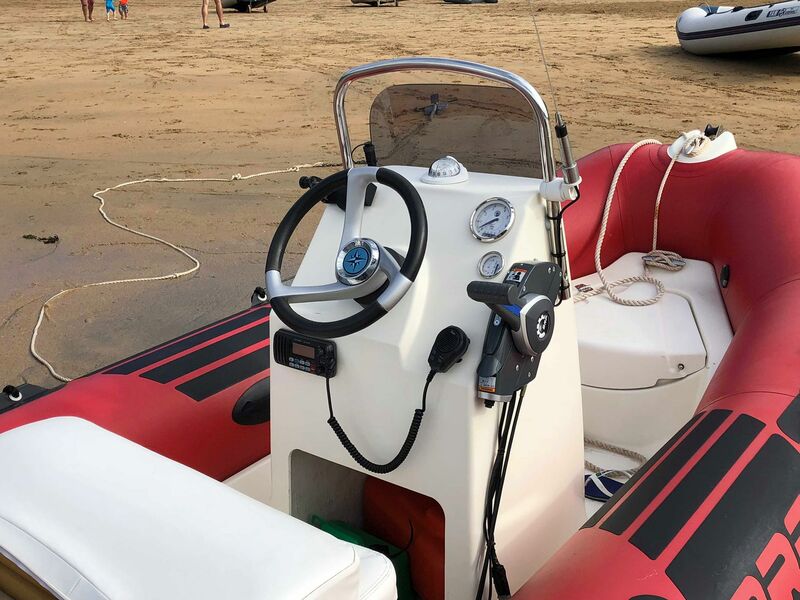 With a fixed mount device, you have the option to install a dual station, which allows you to install a microphone in another location on the boat and use it as an intercom. Choosing between a handheld VHF marine radio and a fixed mount alternative will depend on the type of boat you own and your personal preferences. Both have improved hugely in the last few years with additional ranges and features. Let’s face it; no one wants a radio that is difficult to operate. Everyone wants a model that comes with an easy to use and easy to understand user interface. This means that users are looking for radios that don’t have complicated controls. The first feature you need to look out for is soft keys. Always select models that come with three or four multiple use keys to help you accomplish different tasks. The soft keys should enable you to switch between software key functions. Another user interface feature to look out for is up and down keys. They are important in that they allow you to select different menu functions on the available display. Without these, it can be quite difficult to move from one channel to another in rapid succession. Majority of radios are incorporated with these feature to allow easier selection. Furthermore, a special button that allows selection of emergency channel 16 is available. There are models that come with rotary knobs in place of keys such as up and down. They offer convenience when it comes to changing a function for example channels, volume, squelch and other features. When selecting between soft keys and knobs, it all depends with your personal preferences. Every single day new companies are formed to provide products with cutting edge technology. While it may be difficult to trust an upcoming company on the first try, take your time and you will get learn if they have a great reputation or not. Since you will be working out in the sea, you need to have a radio with waterproof capability. It is common for water to splash into your boat when the weather is bad. To ensure that you are armed with the only gadget that can help you seek help, it is important to look for one with waterproof capability. IPX1: Protection from dripping water. IPX2: Protection from vertical drops when tilted up to 15 degrees. IPX5: Protection from water jets. IPX6: Protection from powerful jets of water. IPX7: Waterproofing in up to 1 meter in water. IPX8: Protection when immersed more than 1 meter deep. IPX9: Protection against powerful temperature water jets. The best protection for your marine VHF radio should be IP7 to IP9K. For more information regarding waterproofing, visit the IP Code WikiPedia page. Digital Selective Calling – Sends out a distress call at a push of a button. GPS – Allows you to transmit your exact location along with the distress call. Automatic Identification System – Allows you to track and locate other vessels. Weather Alerts – Recieve NOAA and SAME alerts for upcoming weather. Active Noise Canceling – Filters out background noise to improve voice clarity. We wrote a detailed explanation of all marine VHF functionalities for those looking for more information. 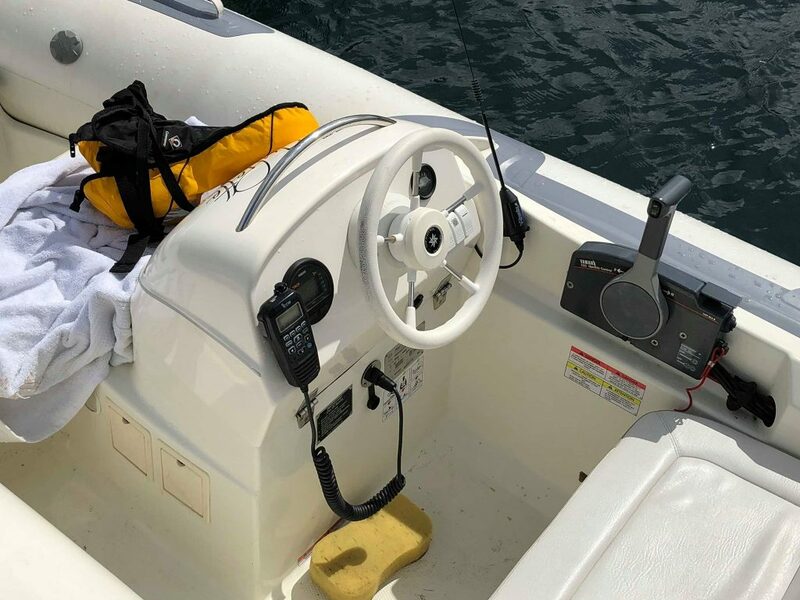 Many boat owners will only use one feature, which is of course the distress call but learning about all the features that a VHF radio has to offer may be very beneficial. Owning a marine VHF radio is an essential for those that go out to sea in their boats. Whether it be a fixed mount of handheld VHF marine radio, they both have the ability to transmit a distress call, which is the primary reason for owning such as device. Our recommendations within this article cover both types and will provide a reliable method of calling for help when you become stuck out to sea. Relying on your mobile to call for help is bad practice as for anyone who has been out to sea will know, coverage becomes very bad. How about VHF/AIS radios? Also whether there us a NMEA input/output.